As a business operator, there is a point where it is time to hire a sales team. You spend time and effort recruiting to ensure the candidates are capable of professionally representing your business. You spend time outlining standards and procedures. You create a training manual on how you want them to act and behave. You teach them all about the product you're selling in order to make sure they are as knowledgeable as you about the products/services. You have cultivated an environment of learning and effectiveness. You send them out into the world, and they begin to make sales for your business. Soon enough, your sales staff becomes the face of your organization and cash begins to flow. However, one of your clients doesn't seem to be paying within the terms of your agreement. They have fallen behind on payments and are now a past-due account. “We are owed $50,000 by one of the largest retailers in the state, but we don’t want to ruin our relationship with them”, has become a common statement heard throughout the cannabis industry. Even more worrisome, these fears are justified. Ruining a profitable relationship like this has the potential to disrupt sales, cash flow, bottom line performance, and carries the potential to sink the business all together. Most growing businesses in the cannabis industry do not have the size, resources or infrastructure to hire full-time accounts receivable personnel. One of the worst decisions a business can make is to pay salespeople to spend their time selling a client on writing a check for past orders, when they should be focused on acquiring new business. Making the sales team collect on unpaid invoices forces them into a precarious situation. After building a sensitive business relationship, they must now approach their clients, and become the “bad guy bill-collector”. This label will then forever be applied in your client’s mind about your sales staff and from then on, will create a tenuous business relationship. A business has the option to assign a support staff member or “inside sales” to collect in-house. But that, in turn, will result in the same problem. It takes them away from productive work and puts your company in an awkward position that can damage the relationship your salesperson worked so hard to cultivate. There are service businesses that can assist you in virtually any task you need completed. If you want the outside of your house painted, you have two options. Do it yourself and spend hours and hours painting, or hire a painter and have the job professionally completed. A professional painter can paint your house more effectively (does a better job) and efficiently (can do it faster than you could yourself). The same can be said about professional A/R management or collection firms. These firms specialize in recovering accounts receivable and are more adapt and capable of collecting those debts for you. When you have a difficult collection, especially a collection where the working relationship between you and a client is important, outsource the work. Find a company that professionally manages accounts receivables and collectables. This way, you, your sales people, and your company are never the bad guy. By outsourcing your business’s past due receivables, the agency will professionally communicate with debtors to recoup lost revenue quickly, and more importantly ensure a lasting relationship with your customers long term. If debtors do not comply, agencies do their best to advise their clients if money owed is more valuable than a soured relationship. Many collection agencies offer their services on a contingency basis. When most attorneys require a retainer fee and charge steep hourly rates (sometimes exceeding $600/hour), contingent collection agencies charge nothing. They instead make a percentage of what they collect for you, only after your business gets paid. While it is possible that you might save by using an attorney, it is highly unlikely. Collection agencies are businesses designed for one purpose, to recover their client's past due A/R. They do so effectively and efficiently. Reputable collection agencies offer their clients different collection strategies with different levels of aggressiveness. This should be based on what their client deems more valuable; the cash or the relationship. The agency that you hire should be able to pursue the debtor from YOUR direction. The agency you hire should be able to provide you a frictionless collection. A collection where all parties remain satisfied. All parties stay happy and calm, while the sales relationship remains intact. Best of all, your business recoups cash quickly, while still allowing your sales team to continue growing your business. So do the smart thing, and don't throw a wrench in the gears. 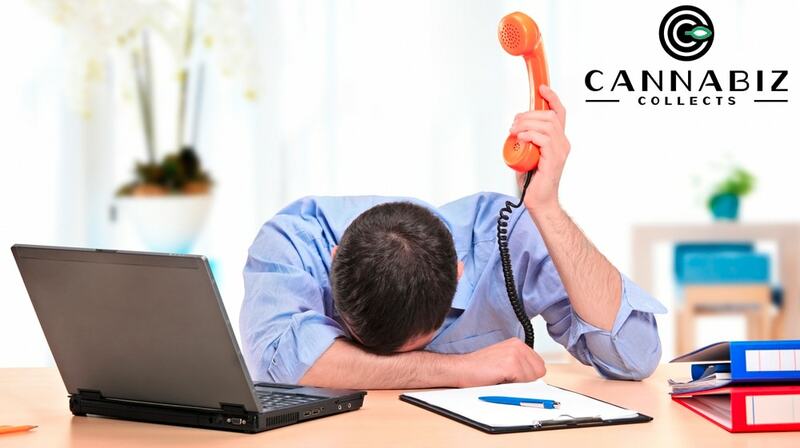 Let your sales team hum and outsource your receivables.